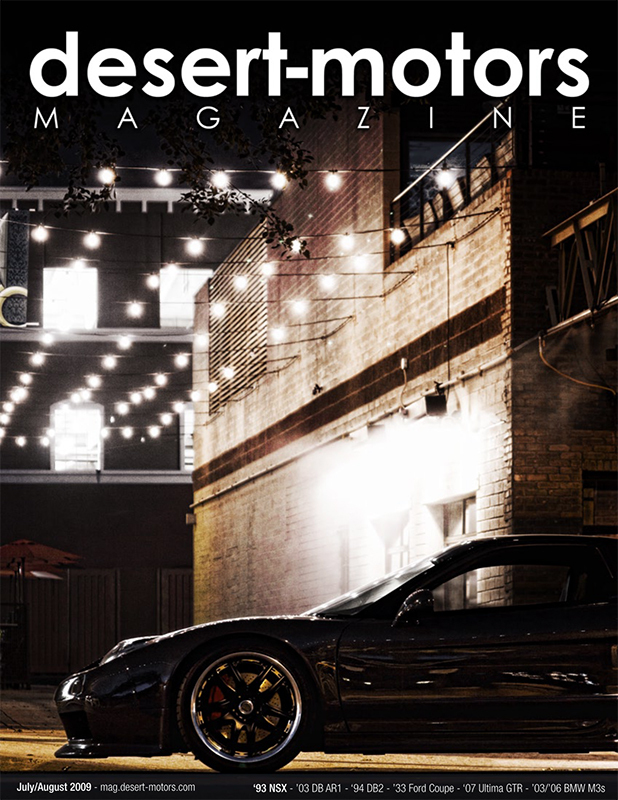 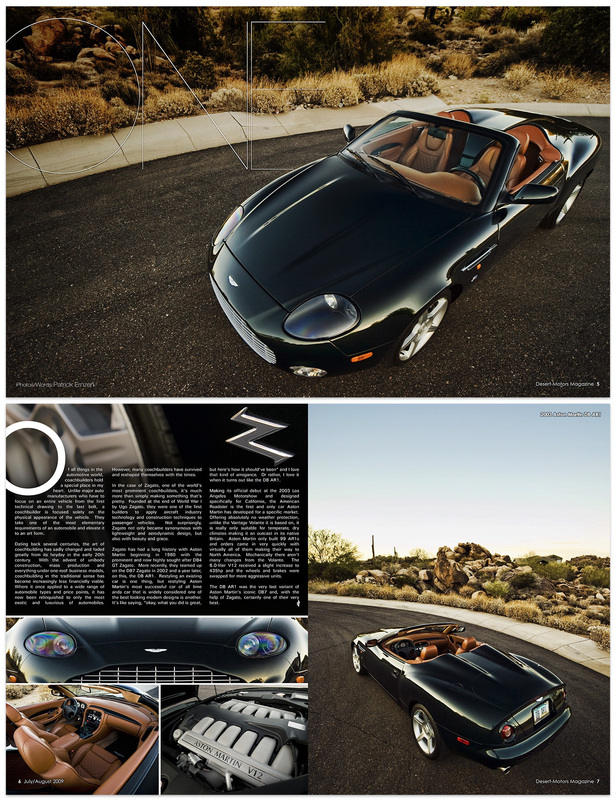 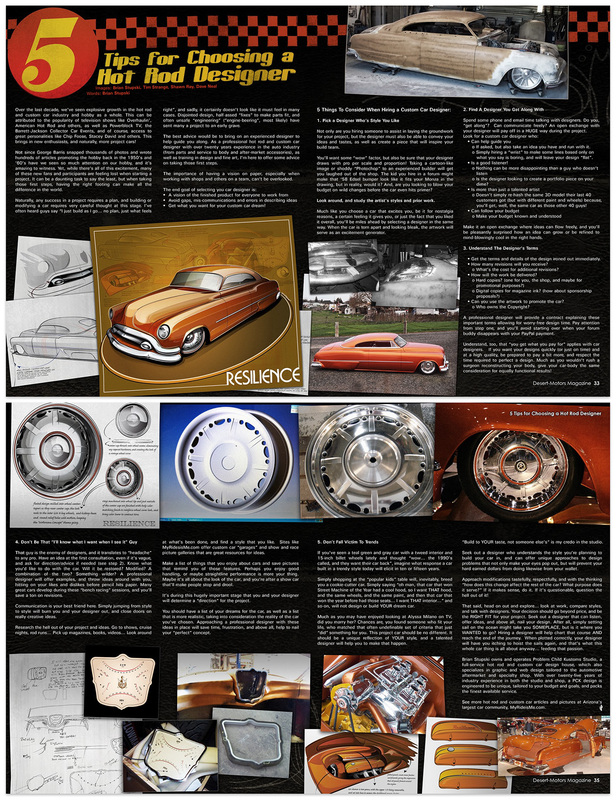 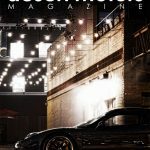 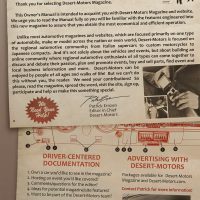 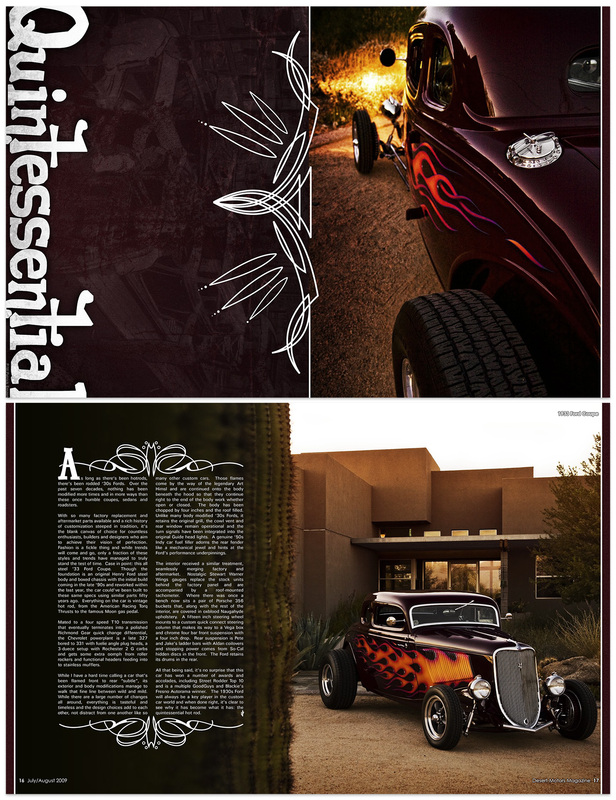 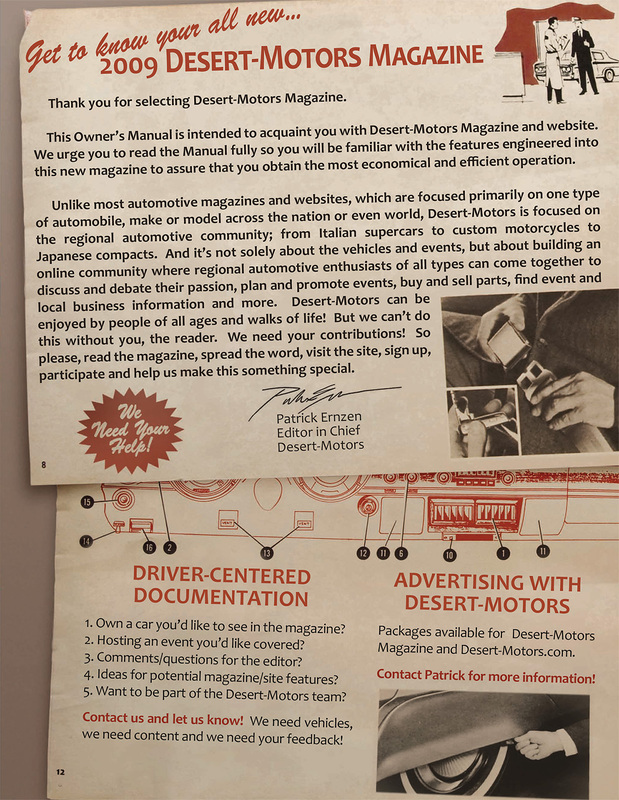 Desert-Motors Magazine was a digital and print automotive magazine with a focus on photography and design/layout. 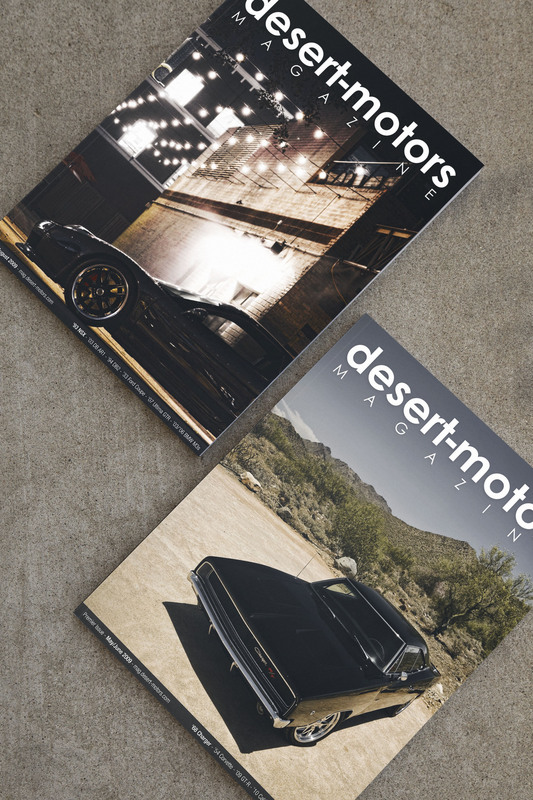 Unlike most automotive magazines and websites, which are focused primarily on one type of automobile, make or model across the nation or even world, Desert-Motors is focused on the regional automotive community; from Italian supercars to custom motorcycles to Japanese compacts. 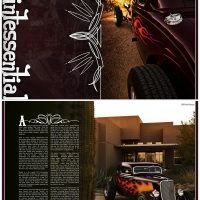 The first issue was entirely photographed, written, designed and built by myself. 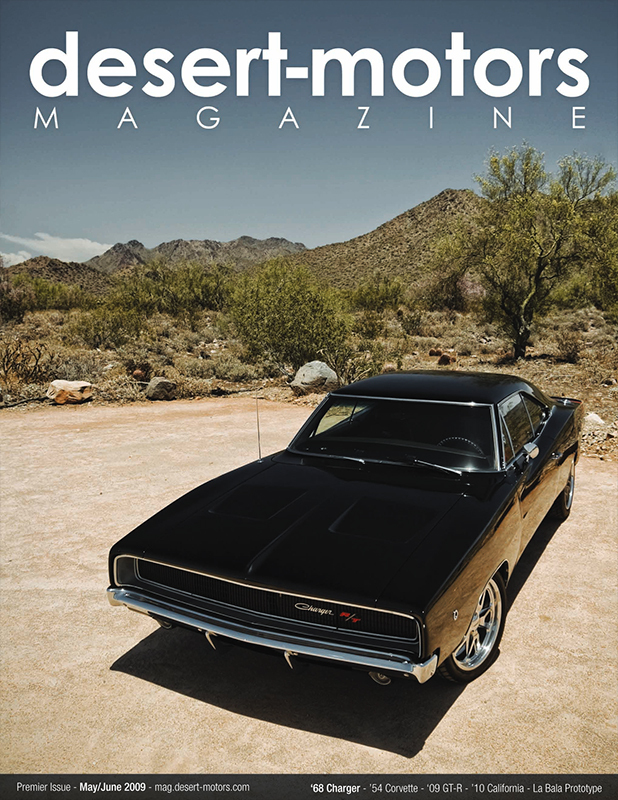 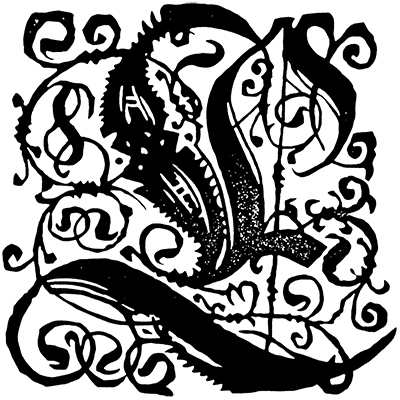 With the second issue, I enlisted a handful of contributors to create content, but I was still the primary contributor and I was still entirely responsible for the layout and creation of the issue. 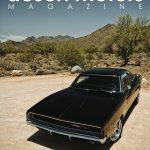 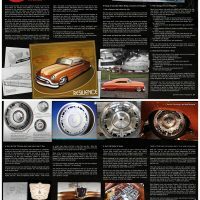 I have since shifted my focus from the magazine to the Desert-Motors.com website.